Take a rip through the desert on four wheels. 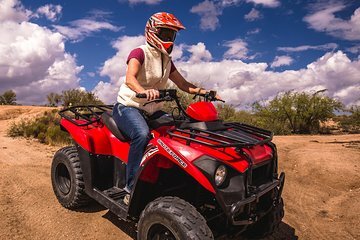 Your adventure guide knows all the best trails in the area and---after a safety orientation and quick lesson in ATV driving, you’ll be off on an adventure of your own. This tour is a great way to explore the vast Sonoran Desert and have fun with some new friends.